Ella and Olivia are sisters. 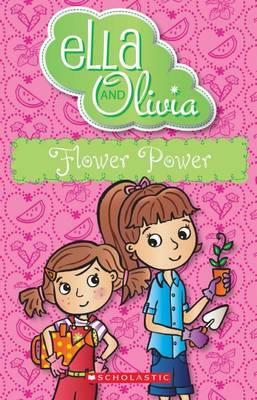 Ella is a little bit older and she has a plan to plant a garden. Olivia really wants to help, the sisters are very excited about doing this fun project. Once they get started though it turns out they can’t agree on anything. Will they ever be able to get the garden built and growing. Sisters will be sisters and in amongst everything they will fight and then get over it. Or at least they do here. The easy to read and understand text make this series a good choice for beginning readers. The lesson in the story are simple, and definitely relevant to families with siblings. A nice little story.